The Appliance E.M.T. of Layton, Utah, provides fast in-home appliance repair service in a professional, friendly, and timely manner to all of Davis County, Utah. There are over 16,000 dryer fires every year in the United States. Lint builds up in dryers and can ignite, burning down a house. 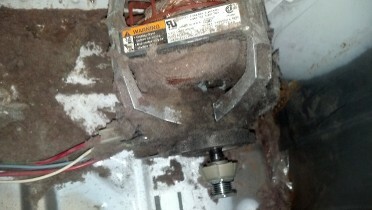 This image is a dryer motor that has a layer of lint on it. A spark from the heater can cause this to combust. It is good to have your dryer delinted every couple of years to prevent lint fires. Schedule an appointment today! We are the Professionals in Layton, Utah for all of your appliance service and repair needs. Modern refrigerators are frost-free. To make that possible they have a heating element on the freon coils that comes on a couple of times a day to remove any frost build-up. If the heater, defrost thermostat, or defrost timer fail, the refrigerator will quit defrosting and within several days it will not cool properly any more. The Appliance E.M.T. 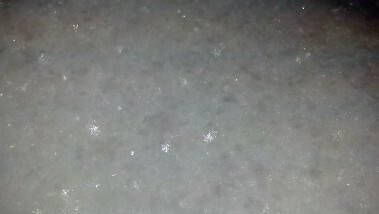 can help you figure out which component has failed and get your refrigerator cooling and defrosting properly again. Make sure to call us today in Layton at 801-773-1911. At the Appliance E.M.T., Help Is On The Way!